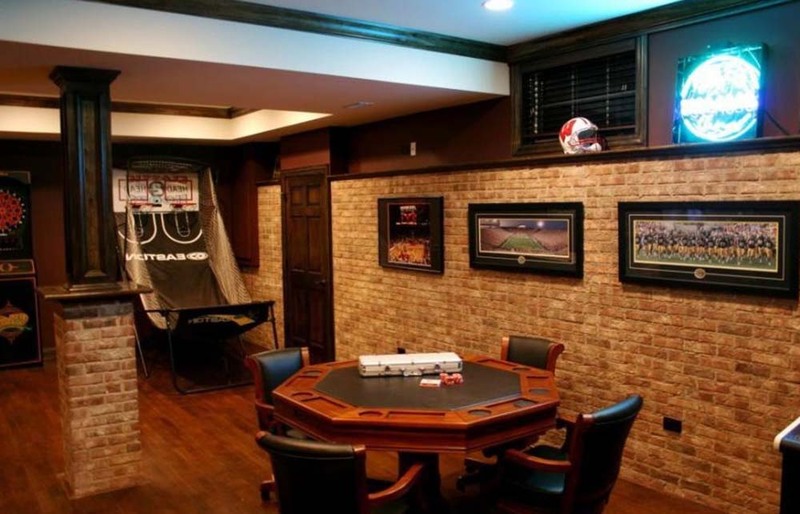 The weekly poker game can be comfortable and fun in this space, which looks like a bar room of its own with brick walls and added games. 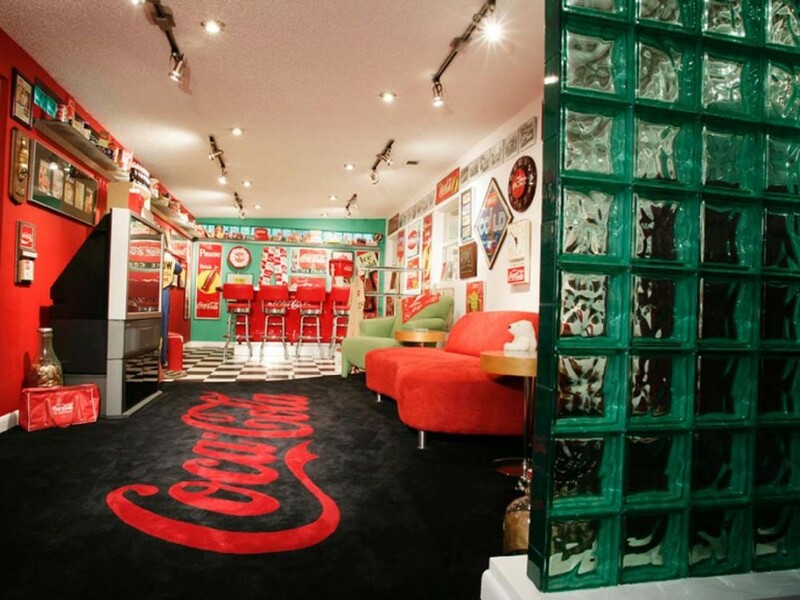 It is easy to create a diner look with checkered floors and red chairs. 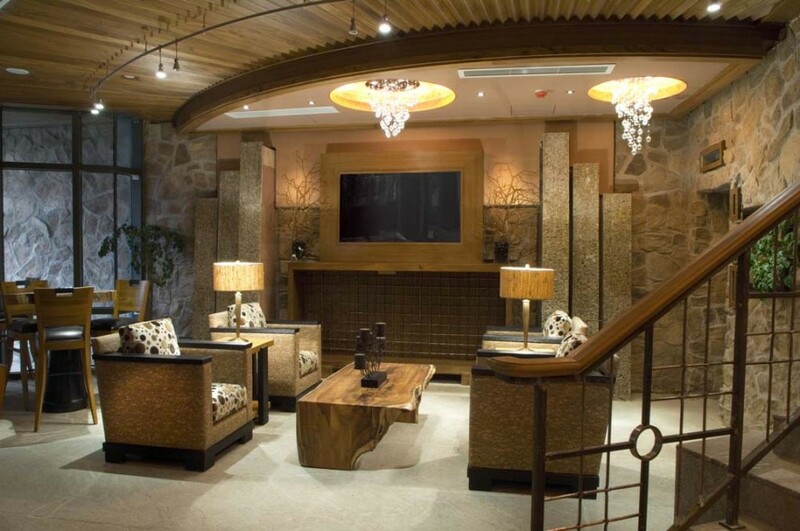 The square glass chunky wall separates the space and adds more to the style. 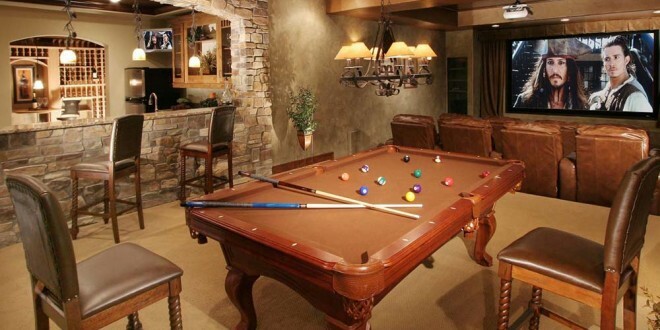 Neutral colors are easy to transition in the basement and bring an element of style and class to the room. Vary the degree of the colors and they will look nice together. 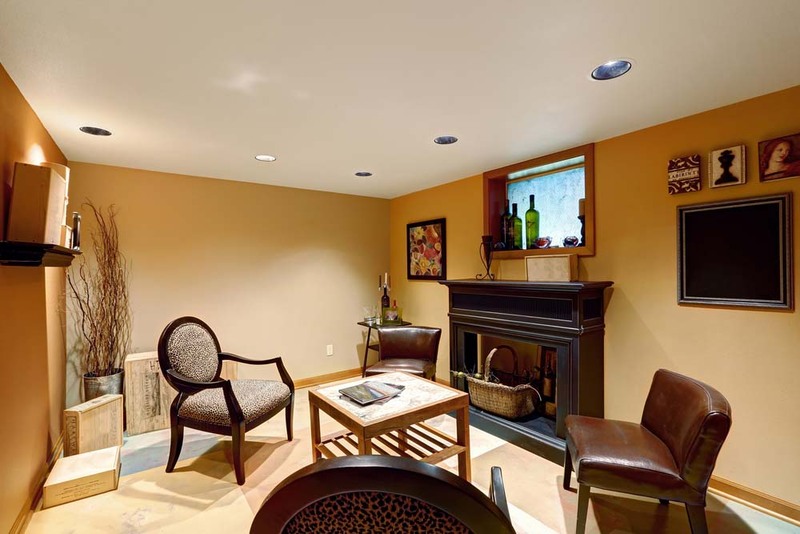 Basements do not have to be rough, they can also be completely finished and just as usable as any other space in the home. 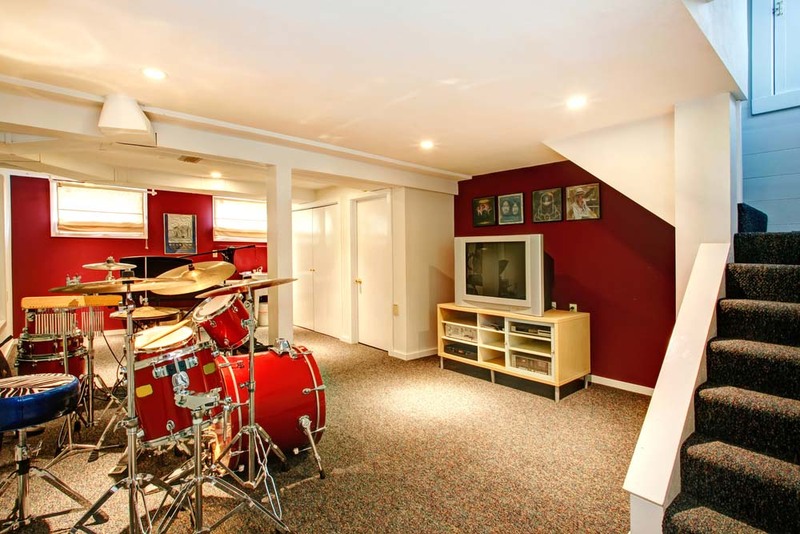 This open room is versatile and can be used for relaxing movie time or fun jam sessions. This basement makes great use of the open space by breaking it up with several tables. 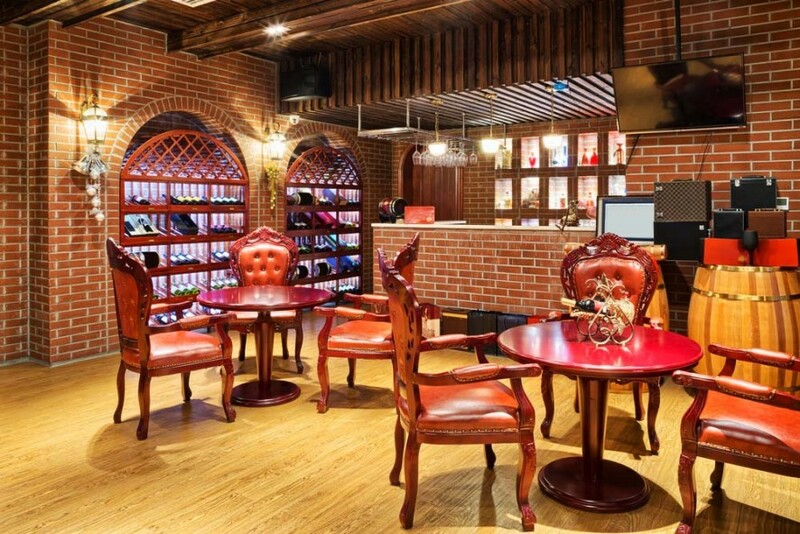 The brick walls make it feel like a downtown bar while the high backed chairs bring elegance to the room. 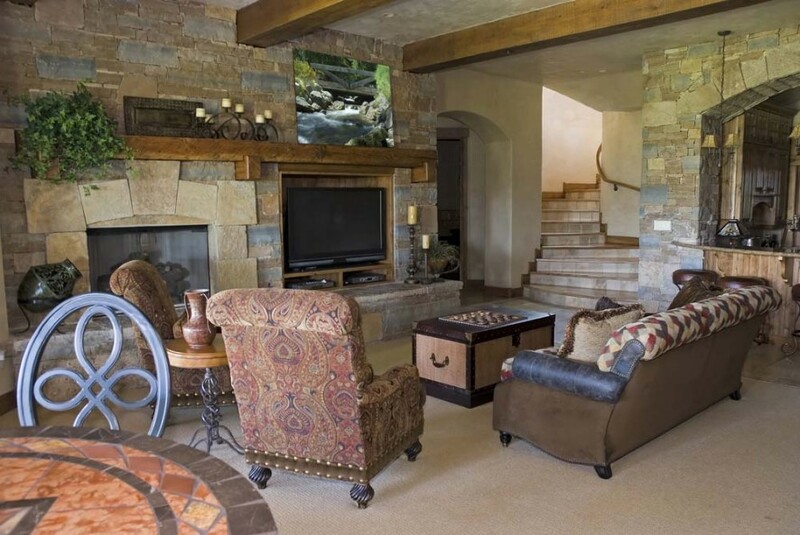 This room combines the fireplace and TV into one location so it is almost hard to tell the two apart. When the TV is on, it’s a great place to enjoy a show, but when it is off, it’s a cozy location for conversation. This small space still has enough room for important elements, Adding a few chairs and a table makes it a great reading nook. 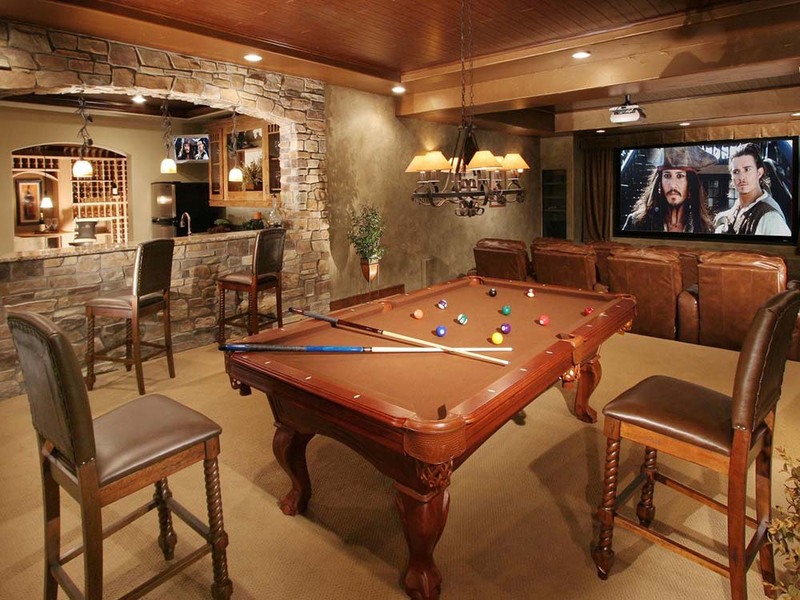 The basement does not need to be stuffed with furniture and items wall to wall. In fact, minimal design can make it even more versatile and enjoyable. 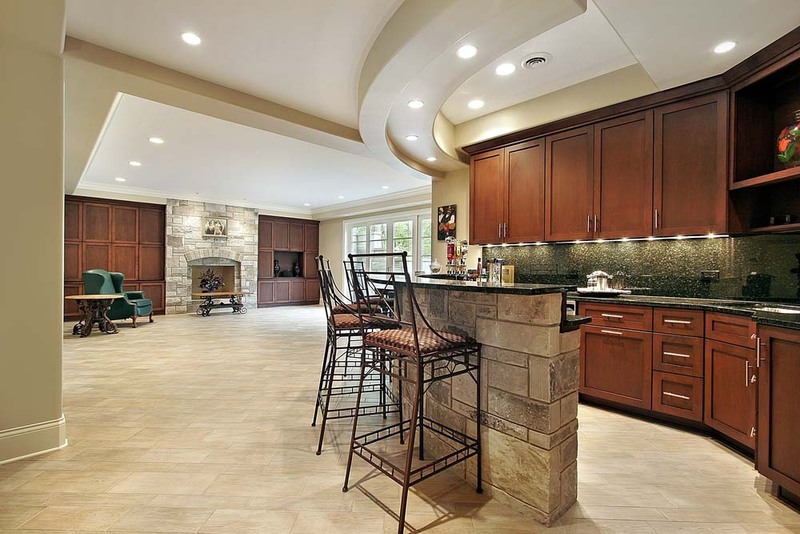 This large, sweeping space is great for entertaining. 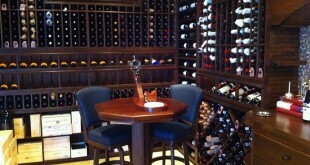 The bar creates storage for snacks and drinks and the open areas leave guests plenty of options. 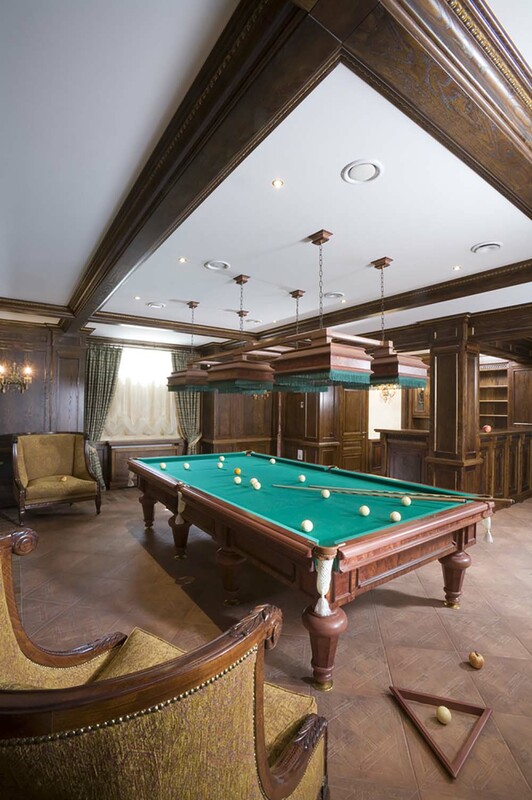 This basement mimics an old billiard hall complete with antique-looking chairs and dark walls. 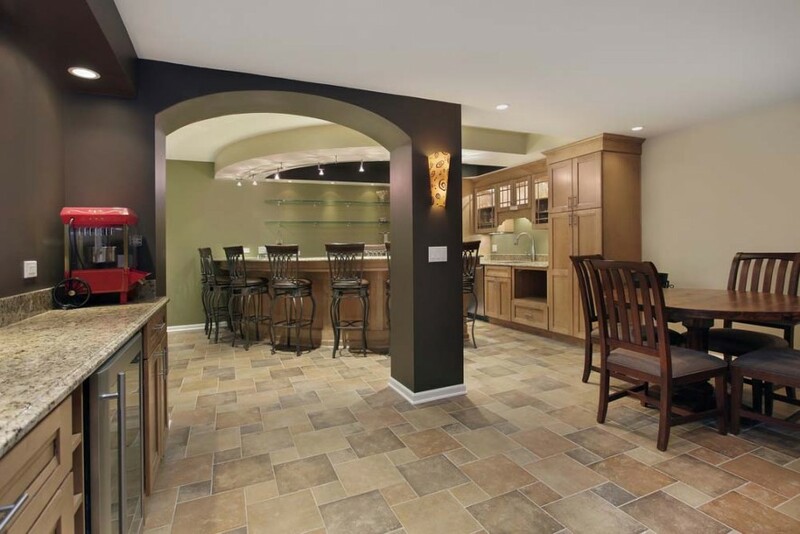 When the basement is all one room, it can still be separated into sections to allow for different experiences. 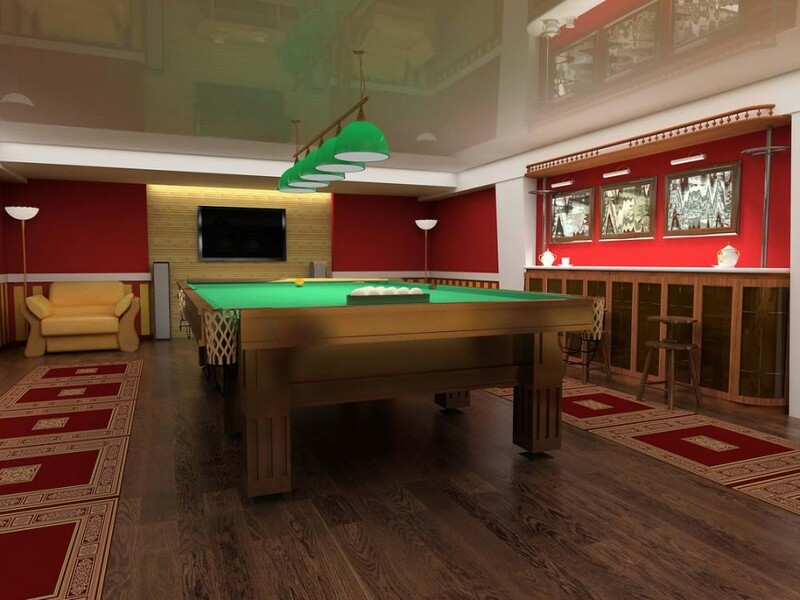 This one has a cozy seating area, a bar, a dining area, and even a billiard table. This space looks like an oasis of relaxation. 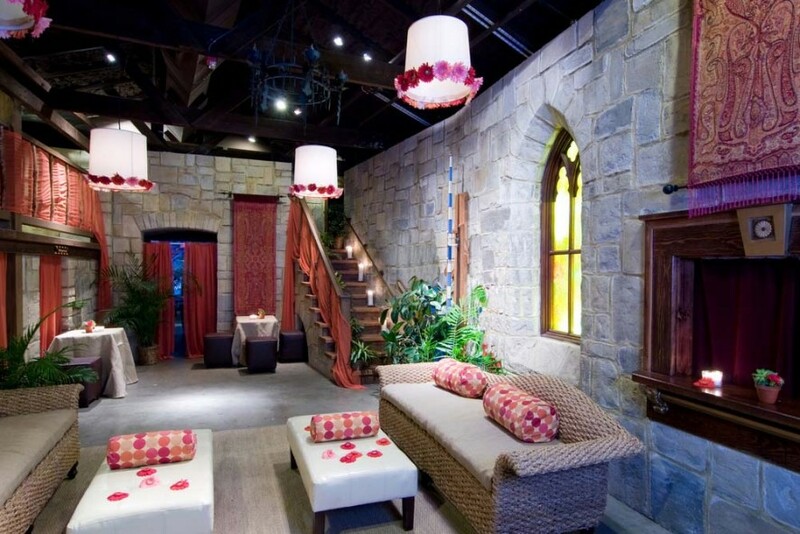 The stone walls are accented with darker red colors and the lighting really stands out. The contrast in colors in this space work well together and make each other stand out. The open areas are easy to transform based on the need that day. 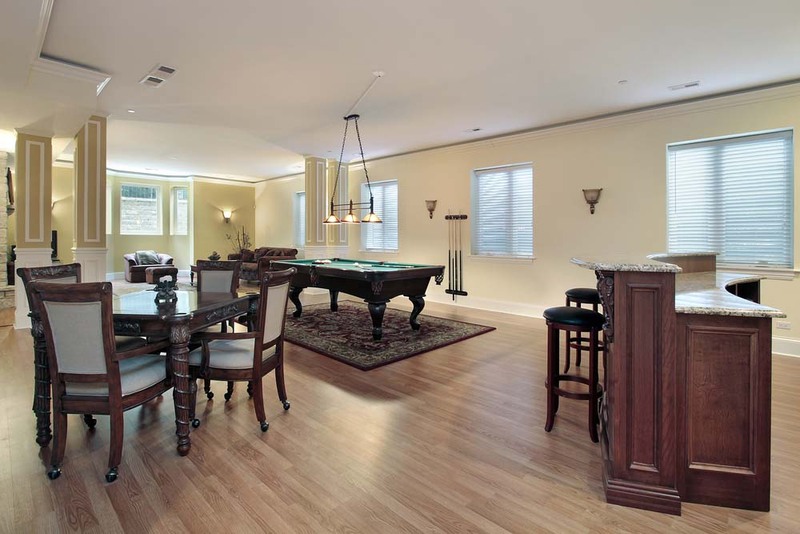 This basement has a rich feel with a large snooker table and deep red rugs lining the beautiful hardwood floor.  The impeccable style makes a game simple and fun. 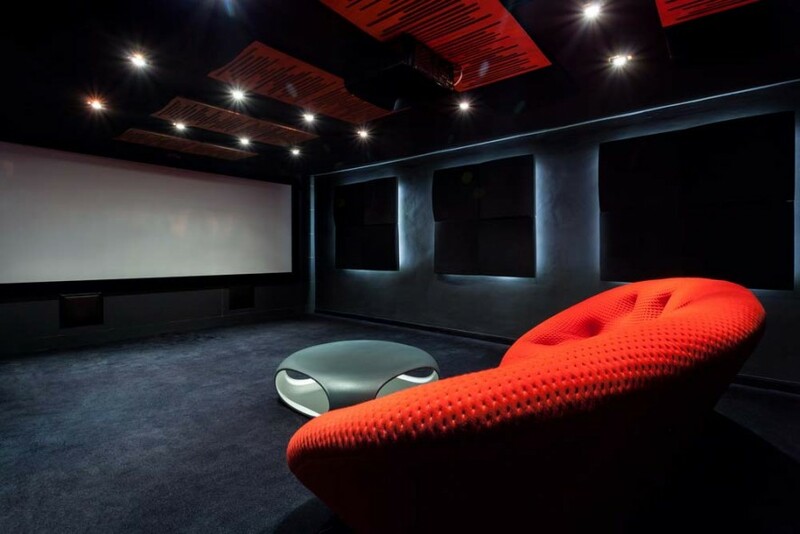 This space is perfect for cough-cough unique entertainment cough-cough and features a bar in the corner with chairs that match the pillows on the couch. 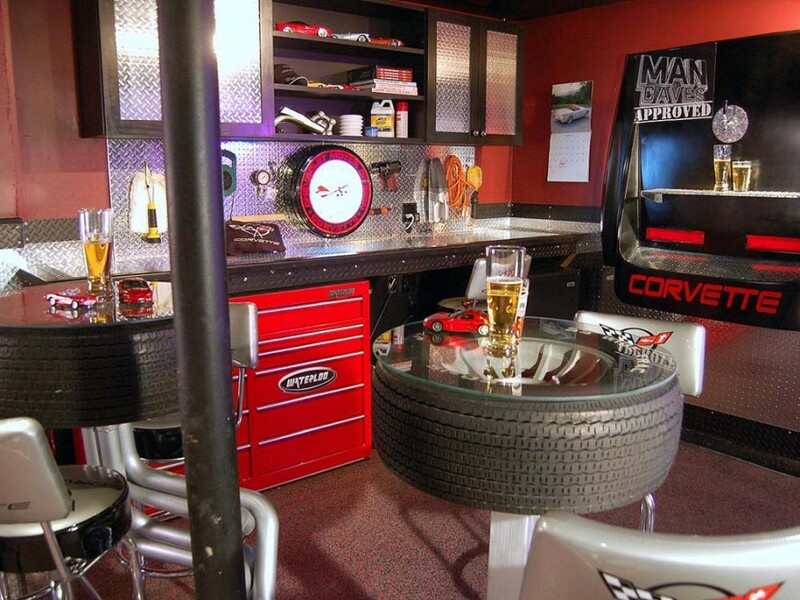 Car lovers would greatly enjoy this small space with tires as tables and other car reminders spread throughout the decorations.